This was dinner. 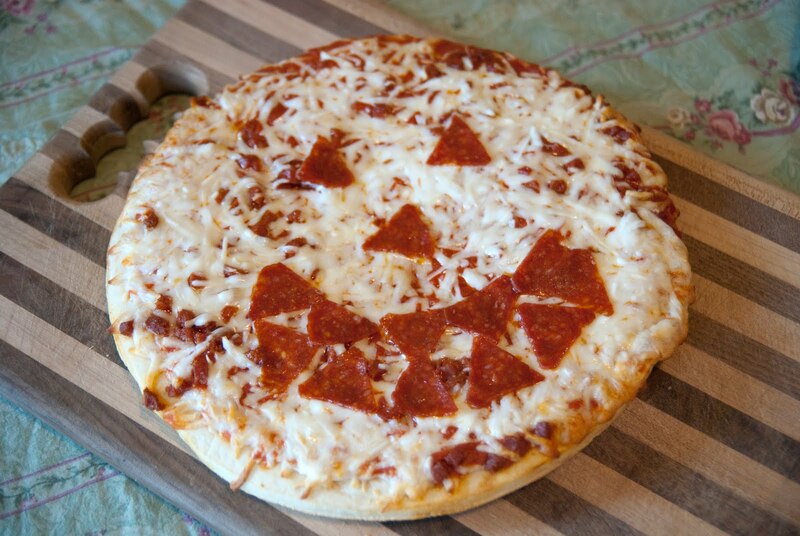 Jack-O-Lantern pizza. Yes. It was a Tombstone. But I cut the pepperoni into triangles.